Across the world, more people are suffering from common food intolerances, than every before. Sensitivity to food stuffs, additives and the chemicals used to produce food stuffs are on the increase. 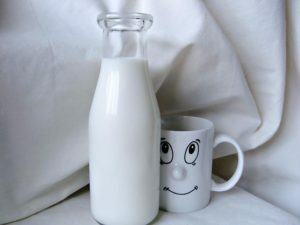 This applies to all kinds of sensitivity to food products from full-blown allergies, that kill, right down to low-level sensitivity, which may cause someone to cough for a few hours after drinking a glass of milk. Exactly, why common food intolerances are on the increase is not fully understood. However, they are, so you need to be aware of them and consider them if you start to have health issues. According to a recent study carried out by the U.S. Centers for Disease Control the following are the most common foods that cause a mild reaction in people who eat them. Alcohol intolerance – this is a particularly difficult food sensitivity to diagnose, because quite a lot of us drink quite heavily. Certainly enough to get a bit tipsy, which of course makes us feel unwell, thus covering up the symptoms of alcohol hypersensitivity. Often a hangover will mas the symptoms of alcohol intolerance. As you can see the list is quite extensive, and this is by no means a comprehensive list of common food intolerances. Often the symptoms are subtle, and food sensitivity is not something many people yet know about. Therefore, they are really not on the look out for the signs of non-allergic food hypersensitivity. Sadly, this is also true of the medical profession, some of whom do not actually believe that the condition exists. The net result is that very few people consider the possibility that what they are eating is causing that persistent cough, skin rash or stomach problem. This is sad because often you only have to stop eating the food stuff for a couple of weeks to start to feel a hundred times better. Are you suffering from multiple food intolerances? The other problem is that a lot of the time people are suffering from multiple food intolerances. Often if you cannot drink cow’s milk you will find that you cannot drink milk from other animals without an adverse reaction. On the other hand some people who cannot drink cow’s milk actually can drink goat or sheep’s milk. This is because the structure of the proteins in these milk are a little different from those in cow’s milk. Things get even more complicated if you discover that you are not able to eat bread without suffering from diarrhoea or bloating. The problem is that your body could have an issue with bread because it cannot tolerate gluten. Or potentially because it struggles to digest products that contain yeast. Alternatively, it could be the wheat that is giving you problems. You will need to work out which food stuff, or component is causing the issue. This is because if your body cannot tolerate yeast well just cutting out bread is not going to help you much. The moment you drink a beer or consume something else that contains yeast your symptoms are going to return. If it turns out that the issue is gluten, then you may not be able to eat bread made from alternate grains. On the other hand if it is wheat that is causing the issue, switching to products made using other grains will work for you. This means that you will be able to continue to enjoy a BLT. This is why we always tell our readers to consult an allergist if they can afford to do so and get a proper diagnosis. You can find out more about effective food intolerance testing on this page. If you want to learn more about why food sensitivity is a growing issue, this study will be of interest to you.